To speak with Eric Flanagan is an experience within itself: he’s so passionate about his flourishing business — everything from their newly-installed water heaters to, of course, the wines. You’d think that this was something he’s just always been a part of. But no, Eric is a guy who just found something he loved and turned it into his career. “I didn’t really get any special training,” Eric says, “but rather learned over the years from the best people in the business.” A true inspiration to someone who’s following that same path. A lot of Eric’s experience came from his travels — everywhere he went, he visited the vineyards, tasted the wines, spoke with the people. Though he feels that the two regions that inspired him the most were New Zealand and Bordeaux, what truly captivated him was the unique qualities he’d experienced in each location. “I was fascinated by how the same grape variety grown in different soils or climates could produce wildly different wines,” Eric says. 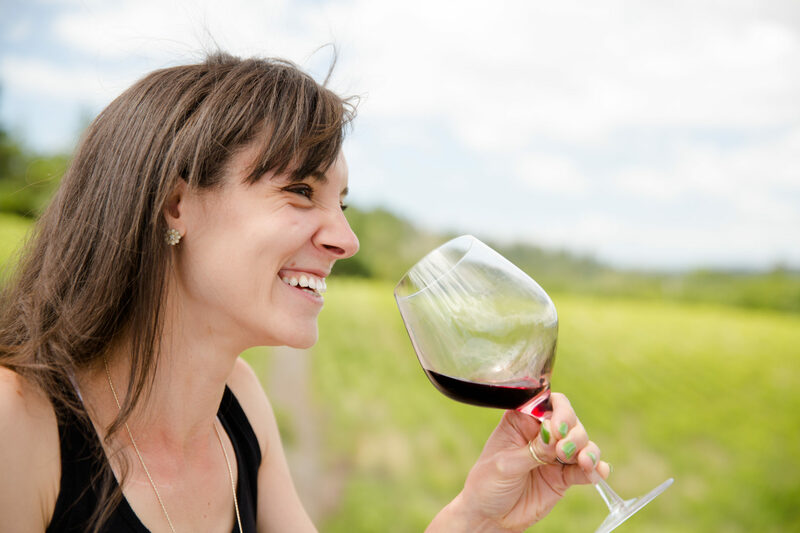 But after traveling and tasting extensively, he found that Sonoma County was the one wine region he found truly fascinating and the one he decided to ultimately call home — both in his business and personal life. In fact Eric owns a few vineyard acres on his very own property as well as three other vineyards (Gap’s View Vineyard, Platt Ranch Vineyard, and Brandt Ranch) through his investment fund Russian River Partners (RRP) and, with the purchase of their new Dry Creek location, now own an additional 10 acres right on the site that Eric and his team are eager to begin redeveloping. Of course, Flanagan Wines also works with partner vineyards — but partner vineyards with real gravitas. Recognize these names: Platt Ranch, Bacigalupi, Sun Chase? Suffice it to say, Eric has set up his winery to work with the best of the best. And it shows (or…tastes). 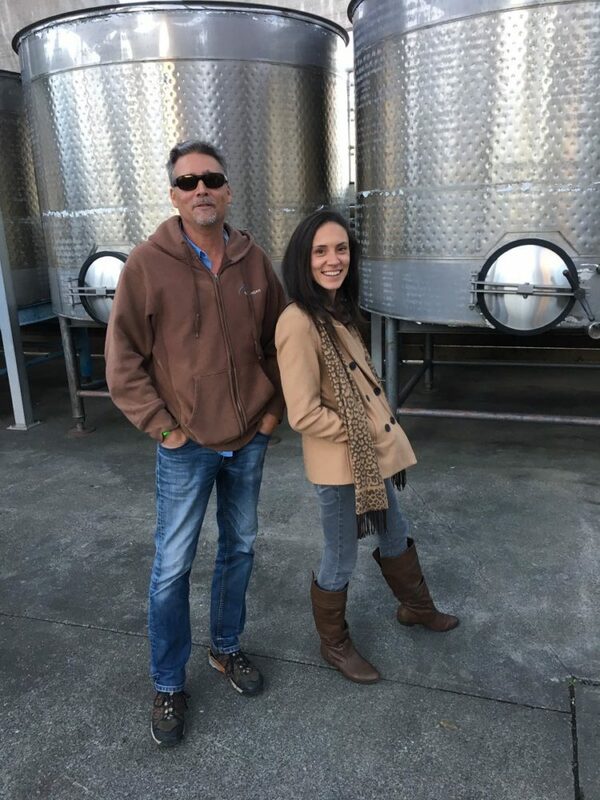 Now, Eric is very involved in the winery — from vineyard sites to blending trials, and even plans to host wine tastings himself once the new venue officially launches. But we must give credit to Flanagan Wines winemaker, Cabell Coursey who studied in Burgundy, France; Willamette Valley, Oregon; and ultimately received his Masters in Viticulture and Oenology from Lincoln University in Christchurch, New Zealand. I find it interesting that Cabell says about his winemaking process that it is a “quest to reveal each vineyards unique personality, while dealing with the challenges inherent in farming.” This is exactly what Eric discovered he loved about wine during his travels — each vintage, each vineyard lot has its unique story to tell. Good partners with the vines will make good wines. Tasting at Flanagan Wines will be by-appointment daily, Monday through Friday from 11am to 5pm. This by-appointment policy is to ensure that each guests receives the type of experience that he or she is interested in. Flights will be customizable and eventually the appointment will also include a tour around the barrel room and production area, as well as a light food pairing alongside the wines. Many thanks to proprietor Eric Flanagan and Director of Business Development & Hospitality Jim Morris for hosting me at the new Flanagan Wines winery. 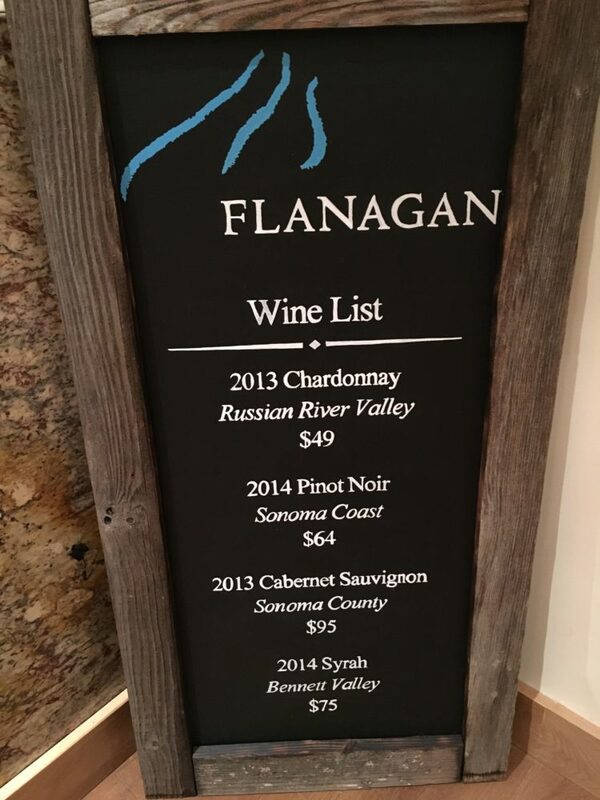 For more information about Flanagan Wines, to schedule your visit, and to purchase wines directly, please visit the Flanagan Wines Website.